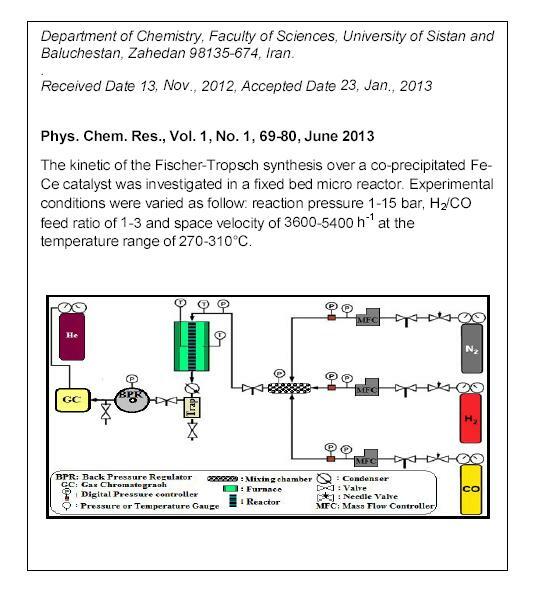 The kinetic of Fischer-Tropsch synthesis over a co-precipitated Fe-Ce catalyst was investigated in a fixed bed micro reactor. 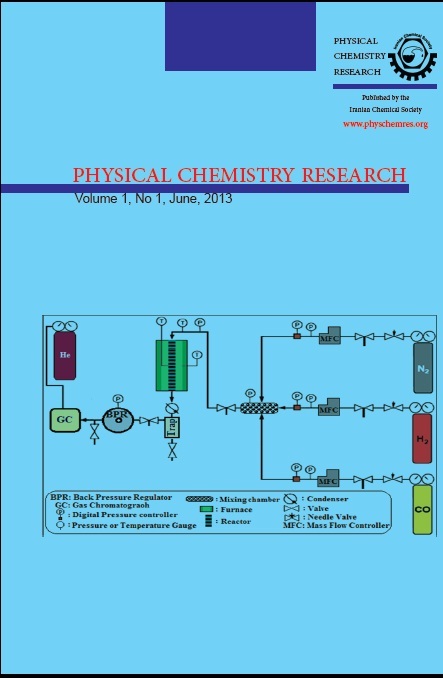 Experimental conditions were varied as follow: reaction pressure 1-15bar, H¬¬¬2/CO feed ratio of 1-3 and space velocity of 3600-5400 h-1 at the temperature range of 270-310°C. 4 models according to the Langmuir-Hinshelwood-Hougen-Watson (LHHW) type rate equation were derived on the basis of detailed set of possible reaction mechanisms and the reaction rate of this study is fitted fairly well by one kinetic expression based on LHHW mechanism. The kinetic parameters were estimated with non-linear regression method and the MARR% values for all proposed models were obtained. The activation energy was 72kJ/mol for optimum kinetic model and this model has the lower MARR% value than the other proposed models.